COMPANION™ No Rails & Removable! Engineered to eliminate sloppiness, the Companion series offers the smoothest ride on the road. 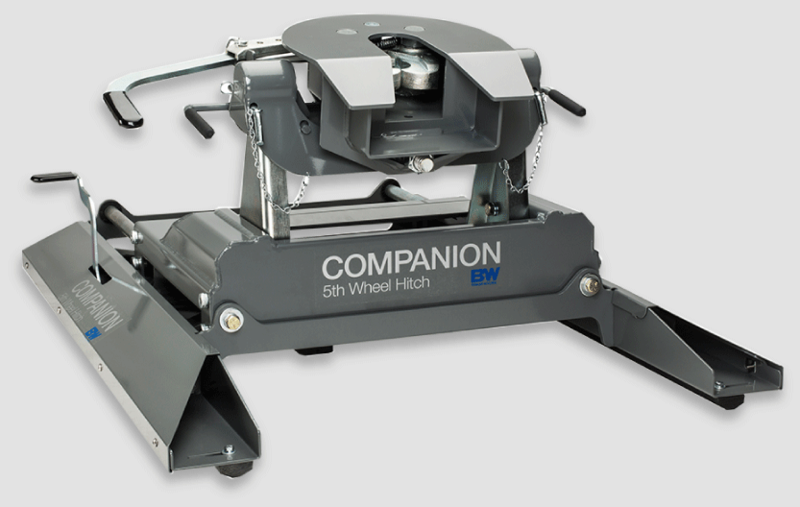 The Companion attaches to your Turnoverball under-bed mounting system, which means you can pull a fifth-wheel or gooseneck hitch with the same system! Just like the Turnoverball, the Companion gives you easy install and removal without sacrificing sturdiness, reliability, or towing power. Wide stance, engineered for improved stability and strength. COMPANION SLIDER™ More Towing Clearance! 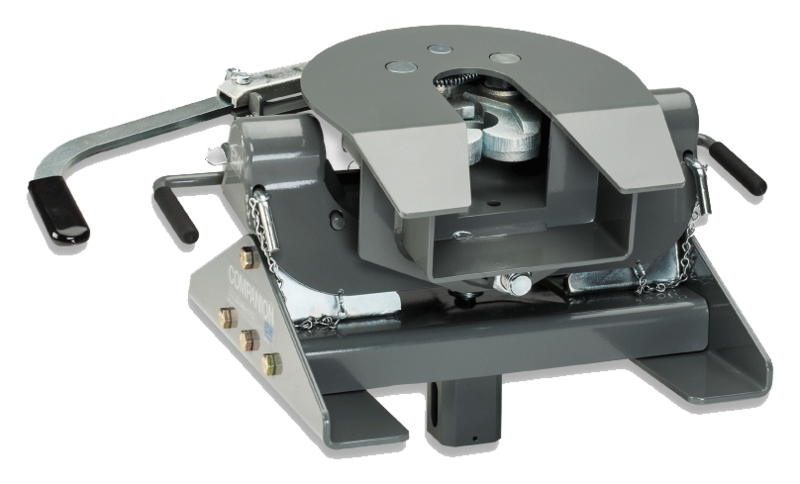 A brother to the Companion, the Companion Slider uses the same great coupler but with a slider designed to give you 12 inches of extra room for maneuvering. Like every hitch in our Companion series, it offers a jerk-free ride and easy hook-up and removal for a level bed—all without sacrificing sturdiness, reliability, or towing power. Plus, you have the option to tow a fifth wheel or gooseneck hitch with the same system. Automatically latches in both directions so you only have to get out of the truck once to move into maneuvering position. COMPANION FLATBED The Companion Flatbed is designed for use on steel flatbeds. A brother to the Companion, the Companion Flatbed uses the same great coupler but with a short base designed for steel flatbeds. Like every hitch in our Companion series, it offers a jerk-free ride and easy hook-up and removal for a level bed– all without sacrificing sturdiness, reliability, or towing power. 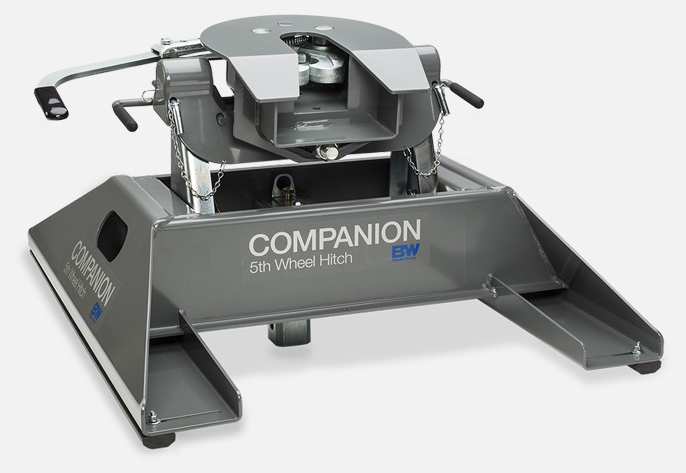 Plus, you have the option to tow a fifth wheel or gooseneck hitch with the same system.